• Gift Certificates are valid for 12 months from the date of purchase. We allow a 3 month extension for expired gift certificates at a $10 fee payable at the day spa upon redeeming the expired certificate. • Gift Certificates number is required at time of booking. 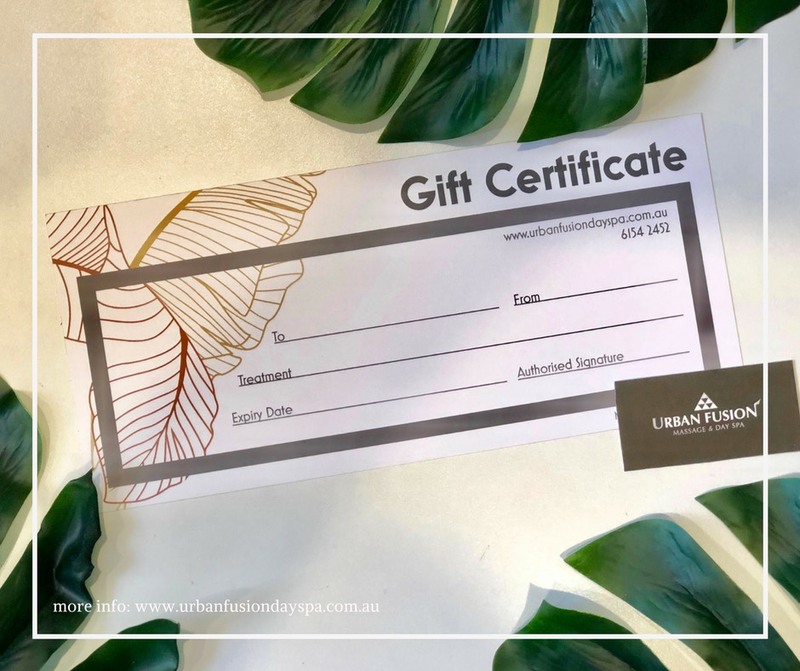 • Gift Certificates must be presented at time of appointment. • Gift Certificates are non-transferrable and non-refundable. • Gift Certificates not used by their expiry will be cancelled, unless otherwise specified. • Gift Certificates which have been booked and clients fail to show will be considered redeemed in full. • Gift Certificates cannot be used in conjunction with any other on-going promotion or offer. • Gift Certificates cannot be claimed under the Private Health Insurance Scheme. •Bookings in advance are essential to avoid disappointment. •No responsibility will be taken for lost or stolen gift certificates.